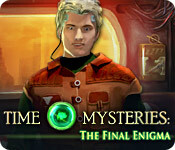 Time Mysteries: The Final Enigma is rated 4.2 out of 5 by 25. Rated 5 out of 5 by possumb from Moving Merlin What a fine game - again. And this takes you into legends of Merlin and Vivian - and ancient Celtic times - times of runes and sorcery, You find out that you are actually related to Merlin and your times travels take you from Celtic huts to Moscow and to the future and ... back again. Enthralling story line and scenery and lots of places you hope you didn't have to visit - but you do. Very enjoyable game altogether. Rated 5 out of 5 by hibc60 from another great game in this series I had such fun with this series I wish they would keep coming. the way you travel from place to place is great, unique and unusual. the story line is interesting, you save people and the place, the challenge level is perfect. this is based on the regular version, the travel is so easy I didn't need the Collectors and don't care about extras anyway. I don't use sound so can't rate that but I definitely recommend this game and the whole series. Rated 5 out of 5 by sothimk from This game is fun I played in casual mode. The game moved along well. The puzzles and HOSs were fair. On the HOS, you could toggle between the HOS and a match 3 game, so you get to choose whichever is more fun for you. I especially liked the Portable Time Device which acted like a map. This feature saved me from having to drudge through each and every room in the game whenever I needed to search for an object. And when you find the object, it saves you from drudging through each and every room of the game in order to remember where you need to use it. The length of the game was fine for me. Rated 5 out of 5 by cejene from Enjoyed Wonderful places to travel. Good graphics. The puzzles and Hos are not difficult. Very enjoyable. Rated 5 out of 5 by AbsoluteFabs from Absolutely brilliant! Loved this game. 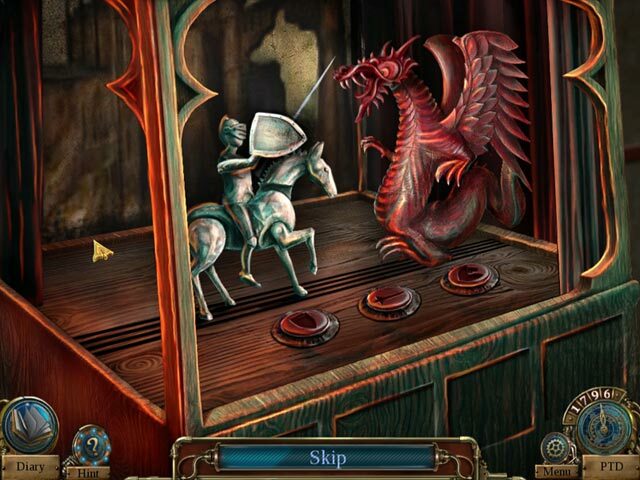 Travelling through time with a clever device and with a good story line. I had enjoyed The Ancient Sceptres and was really pleased to discover there was a follow up available. Cannot wait for another time travel experience by my favourite game developers! I highly recommend this game. Rated 5 out of 5 by jamjarjan from Excellent game Excellent game, played it all in one afternoon. Loved the storyline and all the mini games were enjoyable to play. May play it again sometime. Rated 5 out of 5 by cuorips from Good game ! At first I was not sure, but then I remembered playing one of the sequels and that portal was very familiar....I loved it very much, Merlin, the puzzles and landscapes were fun...Portal is great, graphics beautiful, very relaxing. Rated 5 out of 5 by judeejuju from Review of full game I got totally involved in this game from the beginning and just didn't want to stop playing. I loved the time travel to different places...made it interesting. The scenes are beautiful and magic , mystery and Merlin are so up my street..lol. The puzzles and Hos were not difficult but you did have to think about where you needed to go next which added to the challenge. All in all I thoroughly enjoyed myself and would not hesitate to recommend. Rated 4 out of 5 by BooksandGameFan from Well worth playing!! A++ For an older game this was fantastic.Actually I liked this much more than many if not most of the newer games coming out now in 2016. So much to do, so many places to visit! It was visually very lovely. Music was ok. 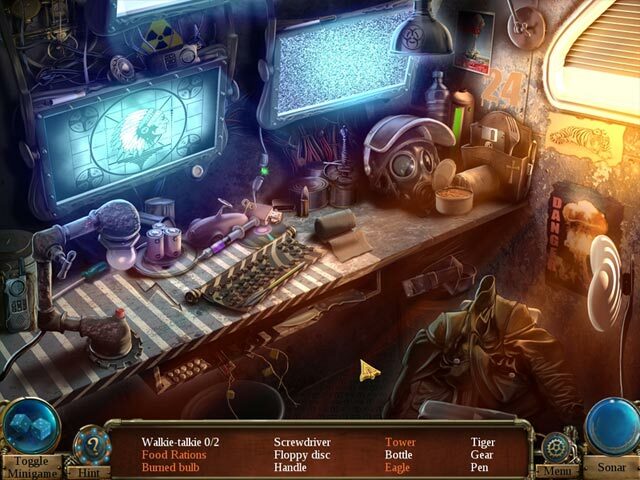 There were many Hidden Object scenes many that were interactive. 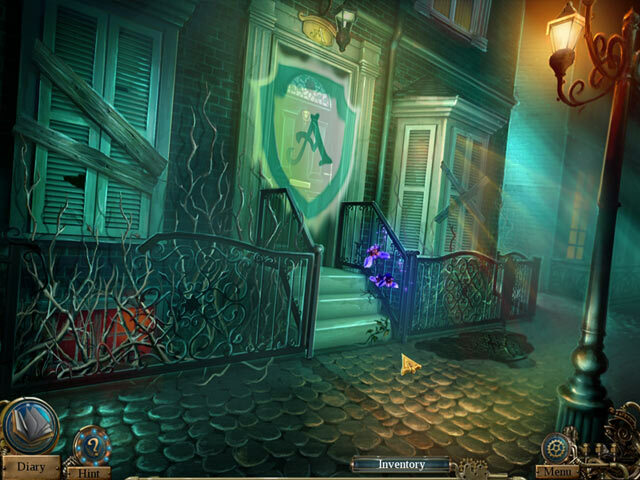 I just Love Artifex Mundi games. They always tell a fantastic story and in the end they tie up all the loose ends nicely in a big beautiful bow! Well worth the money and even better if you can get it on a good sale day like I did. I highly recommend this game!